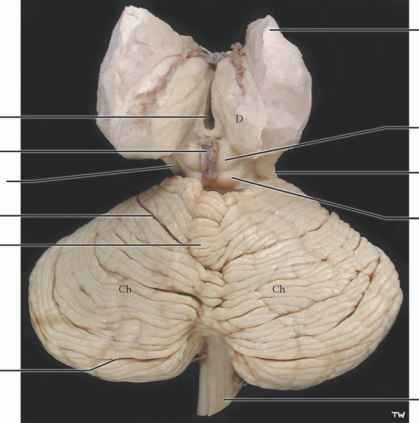 This specimen of the brainstem and diencephalon, with the cerebellum attached, is being viewed from the dorsal or posterior perspective. 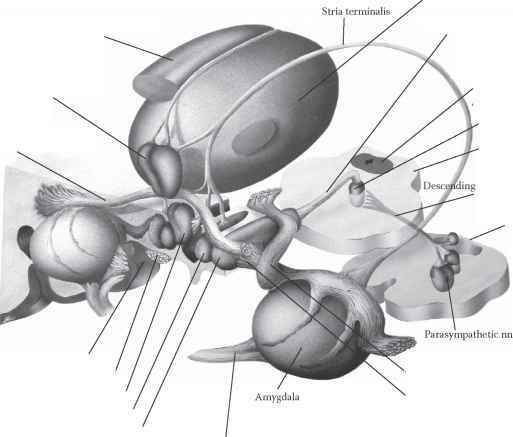 The third ventricle, the ventricle of the diencephalon, separates the thalamus of one side from that of the other (see Figure OA and Figure 20A; also Figure 17 and Figure 21, where the brain is separated down the midline in the midsagittal plane). The dienceph-alon is to be discussed with Figure 11. • The dorsal part of the midbrain is seen to have four elevations, named the superior and inferior colliculi (see also Figure 10). The upper ones are the superior colliculi, and they are functionally part of the visual system, a center for visual reflexes (see Figure 41C and Figure 51B). The lower ones are the inferior colliculi, and these are relay nuclei in the auditory pathway (see Figure 38). These colliculi form the "tectum," a term often used; a less frequently used term for these colliculi is the quadrigem-inal plate. The pineal, a glandular structure, hangs down from the back of the diencephalon and sits between the colliculi. • Although not quite in view in this illustration, the trochlear nerves (CN IV) emerge posteriorly at the lower level of the midbrain, below the inferior colliculi (see Figure 10). This view also shows the back edge of the cerebral peduncle, the most anterior structure of the midbrain (see Figure 6 and Figure 7). The posterior aspect of the pons and the medulla are hidden by the cerebellum — some of these structures will be seen in the next illustration (a photographic view, Figure 9B), and some are seen in a diagram with the cerebellum removed (Figure 10). The cerebellum, sometimes called the "little brain," is easily recognizable by its surface, which is composed of narrow ridges of cortex, called folia (singular folium). The cerebellum is located beneath a thick sheath of the meninges, the tentorium cerebelli, inferior to the occipital lobe of the hemispheres (see Figure 17 and Figure 30), in the posterior cranial fossa of the skull. The cerebellum is involved with motor control and is part of the motor system, influencing posture, gait, and voluntary movements (discussed in more detail in Section B). 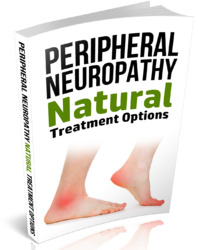 Its function is to facilitate the performance of movements by coordinating the action of the various participating muscle groups. This is often spoken of simply as "smoothing out" motor acts. Although it is rather difficult to explain in words what the cerebellum does in motor control, damage to the cerebellum leads to quite dramatic alterations in ordinary movements (discussed with Figure 57). Lesions of the cerebellum result in the decomposition of the activity, or fractionation of movement, so that the action is no longer smooth and coordinated. Certain cer-ebellar lesions also produce a tremor, which is seen when performing voluntary acts, better known as an intention tremor. Anatomically, the cerebellum can be described by looking at its appearance in a number of ways. The human cerebellum in situ has an upper or superior surface, as seen in this photograph, and a lower or inferior surface (shown in the next illustration). The central portion is known as the vermis. The lateral portions are called the cerebellar hemispheres. Sulci separate the folia, and some of the deeper sulci are termed fissures. The primary fissure is located on the superior surface of the cerebellum, which is the view seen in this photograph. The horizontal fissure is located at the margin between the superior and inferior surfaces. Using these sulci and fissures, the cerebellar cortex has traditionally been divided into a number of different lobes, but many (most) of these do not have a distinctive functional or clinical importance, so only a few will be mentioned when the cerebellum is discussed (see Figure 54-Figure 57). Is dorsal brainstem the back?